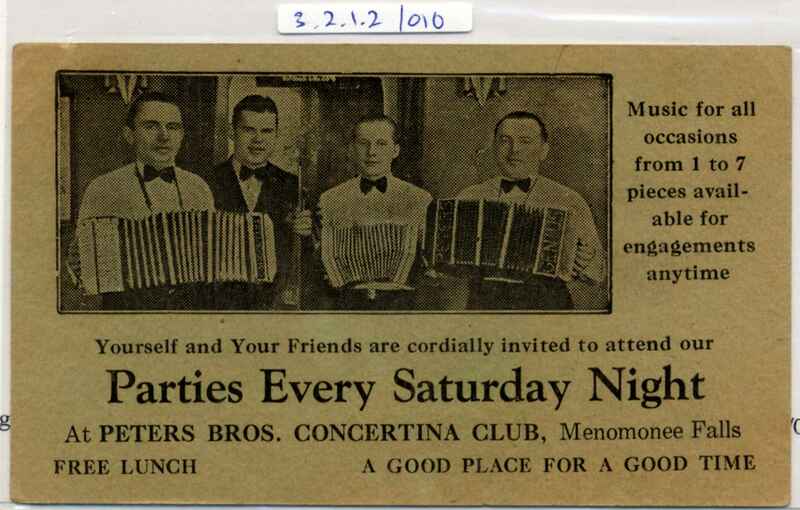 Full Description: US Promotional Card for “Peters Bros Concertina Club, Menomenee Falls” (Wisconsin). “Parties every Saturday night”. 4 gents, three playing Bandoneons.